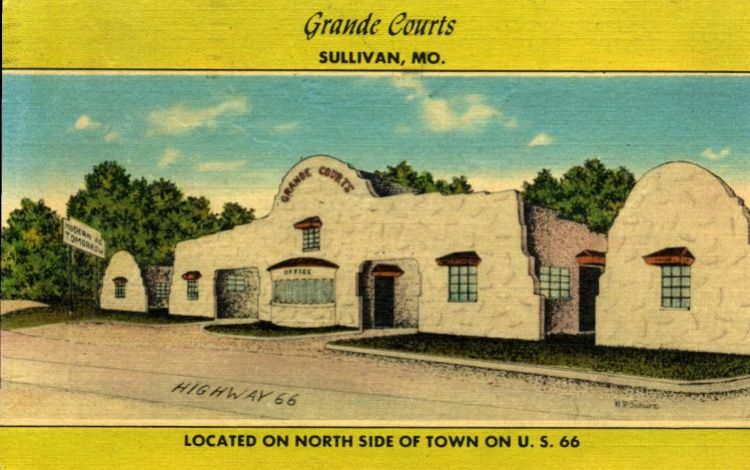 The Grande Courts were "The Pride of Sullivan". There were 40 rooms, "strictly modern cottages with free garages", a beautiful courtyard swimming pool, and even an all night watchman. Later, extensively remodeled, it became the 34-unit Hitching Post Motel. The Family Motor Inn occupies the site today.